Well … and that’s how I feel …: The Television is dead! Long Live the (new) Television! The Television is dead! Long Live the (new) Television! CNN, the 1st round-the-clock news channel was launched on 1st June 1980 – and thereafter, for over a year, 24-hour Television primarily meant NEWS. But all that changed at 1 minute past midnight on 1st August, 1981. MTV, the world's 1st 24-hour music video channel launched itself in the US; and Television, as we knew it, has never been the same again! The reason this is significant is because it kicked off a need for a huge amount of short 3-5 minute videos – unlike the 15-30 minute news, sports or other type of programming content that was being produced. Originally, creation of Content was almost the exclusive domain of the large Film Production Studios and the large TV Networks like ABC, CBS, NBC and Fox. As technology became more affordable, more companies jumped in and soon a host of other channels sprung up. In fact, we (the consumers of Content) have ourselves become Content creators! See the latest report from Ooyala, entitled, 'State of the Media Industry 2016', which, appropriately, has "Everyone is a producer now" as the tag line to the report. The first Music Video aired on MTV was "Video Killed the Radio Star". It was prophetic in a way and foretold what we know now. However, Videos didn't really "kill" the Radio Star, as in that song, not in the literal sense at least - but it DID replace radio, as our primary means of 'consuming' content for many, many years. And just when we thought that we've seen and done all that there is (to see and do), along comes the Internet and disrupts everything again. Television for many just meant a TV set connected to an overhead Antenna. The Antenna got replaced by the Cable Set Top Box. And now we have a host of options like Direct-To-Home Dish, Internet-based TV via Chromecast and Apple TV as well as access through dedicated players like X-Box, PS-4 and Wii. Videos are now appearing everywhere and in every format. We can access Content on our LCD/LED/Plasma TV sets, PCs, Laptops, Handheld devices, Tablets and even smart phones. We can receive this via cable, over Wi-Fi or over the air. 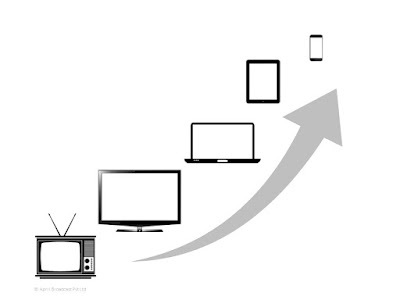 "The web continues to look more like a super-sized TV channel lineup" as Ooyala puts it. And setting up one’s own video channel has also got simpler. See this article "A Do-it-Yourself Broadcast Style “TV” Channel" on how easy it is now to set up your own "Television" channel. 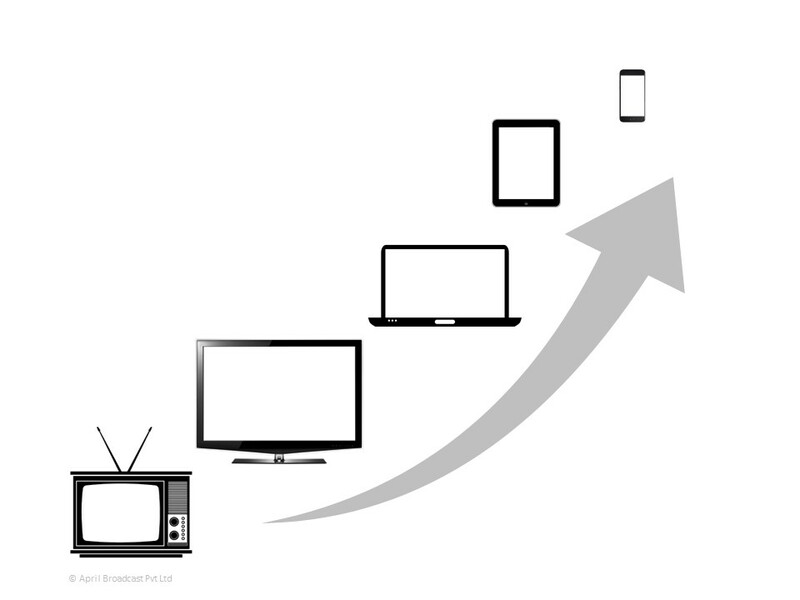 What we watch, where we watch, how we watch, when we watch and… on what we watch, has become a complex combination of content, delivery mechanisms, technologies, systems, hardware and apps/software! Even the modes of subscription to watch such content are wide ranging: from annual subscription plans, to monthly plans, one-time fees, or even a pay-per-view. Many are prompted to think that the Internet has "killed" the Television. Sure, Television is no longer what it was. But that's because the manner in which we 'consume' content has changed dramatically! Now, we want to watch: whoever, whatever, whenever, wherever and however. Consequently, the definition of what we call Television, has also changed, equally dramatically! Today, the (new) "Television" is: the Television Set, the Tablet, the Smartphone, the Laptop and... in fact, anything that can "show us" a video! The Television is dead. Long Live the (new) Television!